It isn’t enough to have a slick resume. You must be able to tell you career story in meaningful terms. But, this isn’t easy. We’ve been hardwired to believe that a resume is THE tool to use to get a job. But, every study out there today points to employee referrals as the best source for finding jobs. A resume doesn’t open many doors. Talking to people opens doors. Networking simply means showing genuine interest and learning about someone. This is how all relationships (personal and professional) begin! At some point, you’ll be asked about yourself and what you do. 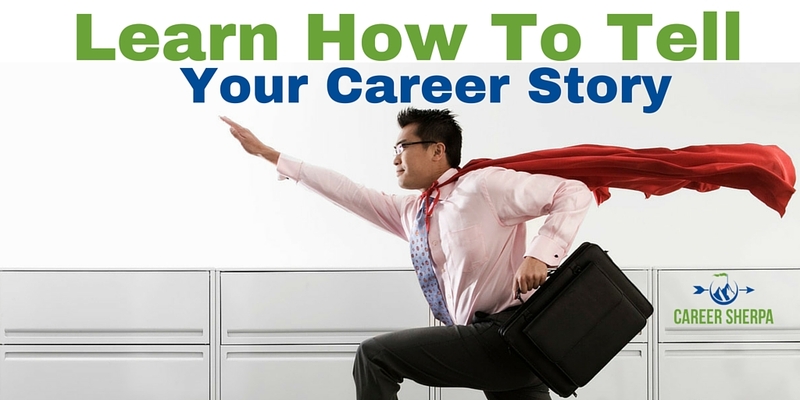 Will your career story be ready? Your story is already online…somewhere. But is that the best version of your story? Do yourself a favor, right now, go search your name and see what appears on the first page of search results. THIS is what a potential employer will see. This is your new resume. According to CareerBuilder 2018 survey 70% of employers research you on social media and 60% research candidates using search engines at some point during the recruiting process. And what if they don’t find anything? 47% of hiring managers said they were less likely to interview a candidate they couldn’t find online, so deleting your social profiles isn’t a good idea either. And Jobvite 2016 Recruiter Nation study reported that 92% of recruiters are using social media. But how? Simple. Build a personal website and be purposeful on social networks. LinkedIn is the obvious choice but don’t overlook Facebook. Prepare Your Facebook Profile for Job Search. Creating a website and owning your name as a domain makes a smart career strategy. It ensures that you will always control, to some degree, the top search results for your name and the content that appears on your pages. Personal branding and search engine optimization (SEO) at their finest! Our brains process pictures and images faster than text, 60,000 times faster according to some data. The added bonuses of adding visuals are that pictures engage readers and emotionally connect readers to the content! You can use visuals on your personal website, within your LinkedIn profile and in status updates! You can even create a presentation promoting you which you can embed in LinkedIn. You bet infographic resumes are valuable tools to network with and WOW an interviewer. Just don’t try to put them into an ATS. You don’t need to have graphic design skills to build an infographic resume templates. Order your copy and get step by step instructions and beautiful, inspiring ideas. I was fortunate to present on this topic and wanted to share the slides here.